I am aware that with this article I place my humble feet in the footsteps of some giants of the self-help and life-coaching genre. This article will inevitably be conceived as a contribution to a system of thought where titles like “How to Become a Millionaire in Ten Easy Steps” or “Life Lessons from a $$$ entrepreneur” are considered to be the highlights. How I feel about this? Don’t worry, I”m okay, and still have most of my hair. I don’t want to instruct you how to become successful. It is obvious that “success” is a relative concept hence it is an analytic, a priori truth that it goes at the expence of others (some others, somewhere). But I do want to say something about discipline and how to organize your daily tasks. I don’t believe in taking the stance of a professor bloaking down upon you. I want to make you smile. So what is this secret recipe I am circumscribing and inflating here with the hot air of suspense? “Avoid All References to Zero”. What does that even mean? 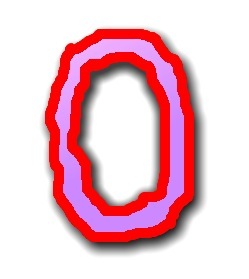 The zero is an invention of sorts, and as a cultural technique certainly on a par with wheel and fire. It gave us an infinitely more powerful mathematics that played a crucial role in almost every modern invention. So what can be so bad about the zero? The beauty of the zero (or, more precisely the zero-element in our calculus) is that we can multiply it with whatever we want – the result remains still zero. Even if we multiply it with infinity? Double uncountable complex superinducent infinity con panna? Yes, even then. In everyday life, the zero is an easy abstraction from reality to express our emotions, rather than an adequate description of reality. “I have nothing to do”. “I don’t have any money.” “I don’t have time.” “I never walk.” “This leads nowhere.” “I haven’t got a clue.” In all these cases, that is not literally true. We always(!) have one thing or another to do, most of us have at least a few coins or a wristwatch they could sell, we have a few minutes free for ourselves each day, and so on. It is a convenient way to express an emotion without sounding emotional. What is bad about it? Easy enough: We can’t take these statements as starting points because we can multply it as much as we want – they still remain Zero. The single most important tip to gain discipline, gain control over your life, tackle those annoying daily tasks, and yes, become a happier human being, is avoiding all references to zero. So every time you hear yourself making such a reference, correct it and describe your predicament in objective terms, such as “I have twenty-three dollars in my bank account” or “I work out only two minutes a day when I walk the stairs.” Often these references are hidden because they are the result of life-long habits. You will have to dig them up. Once you made this clear to yourself, you will be able to start applying arithmetics to your habits because you quantified them. Tomorrow, you can work out three or four minutes, next week, you will earn forty-five dollars, and so on. I could give more examples and explanations, but thank god I don’t have to reach the other shiny cover of my “Mr. Hero don’t know no Zero” paperback.